For a healthy and balanced meal, try to include as many colours as you can on your plate. Each one represents different phytonutrients; which are a broad range of substances found in plants. If your meals normally comprise one or two elements from the same colour family on a consistent basis, you need to mix the ingredients up. Let’s be honest, most of us are guilty of routine and get used to eating the same things time again, and, in turn, tend to limit the amount of nutrients we intake. 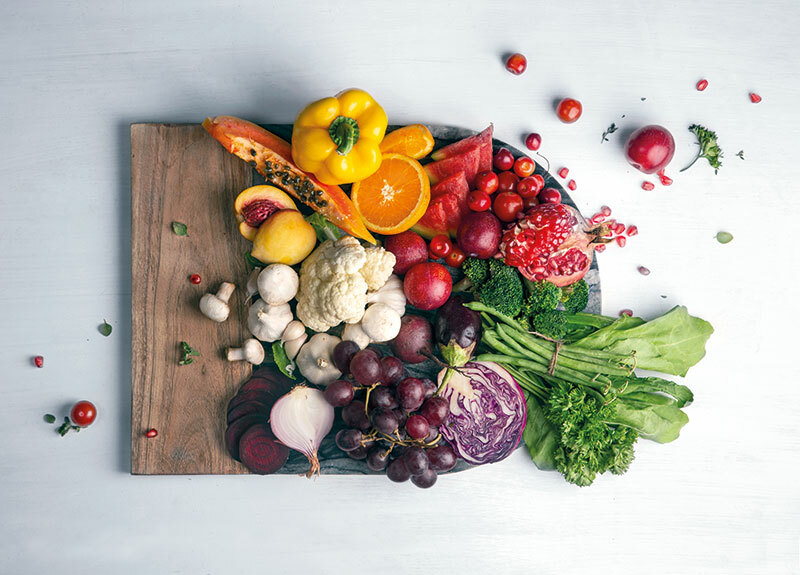 Each colour is responsible for very specific health benefits that can keep you youthful and full of energy; think of food as your medicine, and instead of reaching for that expensive anti-wrinkle cream, start at the table for your first line of defence against ageing! Red: protects the heart and the eyes. 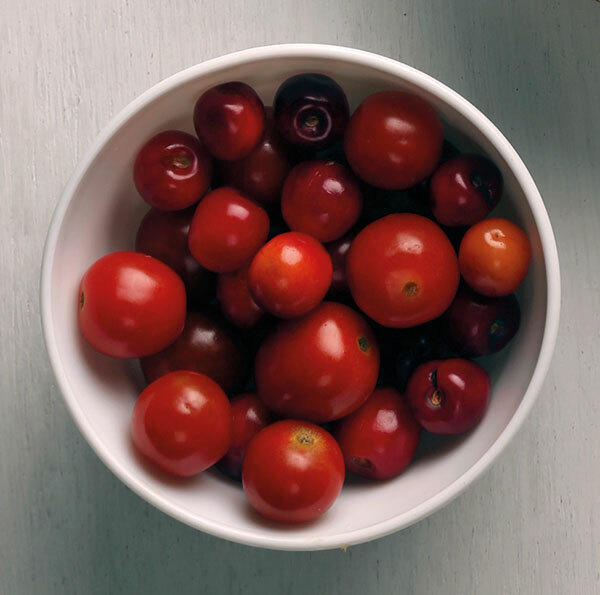 Sources: tomatoes, cherries, strawberries, grapes, beets, red onions, apricots, papayas and watermelons. Lycopene is a part of the carotenoid family, which is known to reduce cardiovascular and age-related eye diseases. 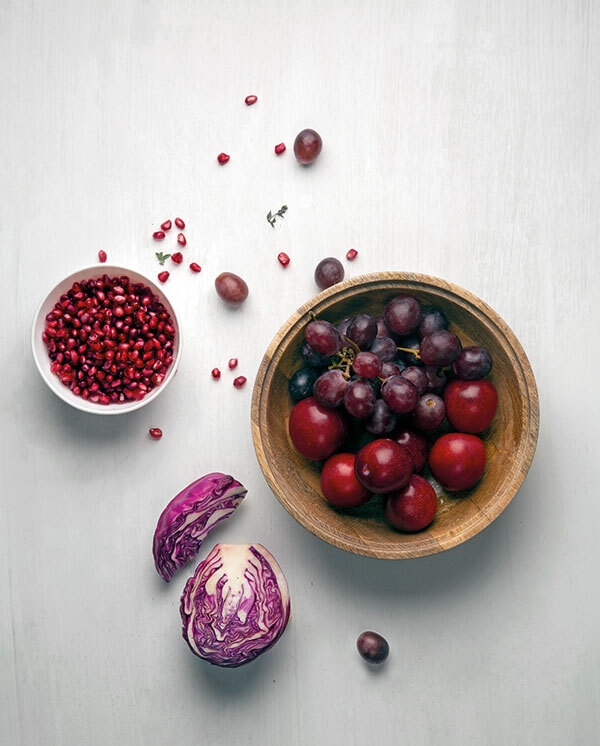 This antioxidant protects cells from oxidative damage and provides the red pigment in foods. Tomatoes have the highest amount of lycopene, and while strawberries and cherries don’t have any, they contain the phytochemical flavonoid. Flavonoids are a plant compound that occur naturally in food and have anti-cancer and anti-inflammatory properties. Orange/Yellow: for collagen synthesis, eye health, skin protection and immune function. Sources: oranges, mangoes, sweet potatoes, pumpkins, carrots, yellow squash and red/yellow peppers. 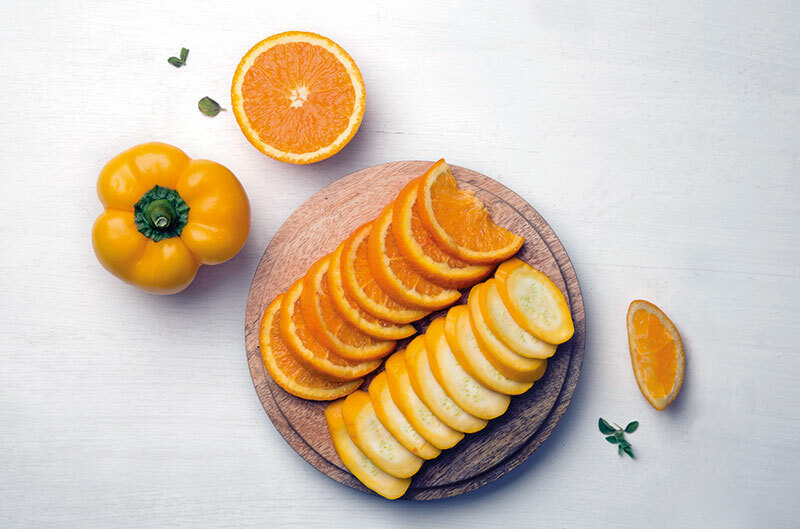 Orange foods contain the antioxidant beta carotene — a precursor for Vitamin A — which helps in preventing and delaying vision impairment, provides both protection from UV rays and barriers against infections, and is necessary for reproduction and the fertilisation of eggs. Yellow bell peppers contain high amounts of Vitamin C, which aids in collagen synthesis to keep your skin plump and youthful. Additional properties include enhancing your immune function to keep you on the go. Green: for collagen production, UV protection, skin protection and cancer prevention. 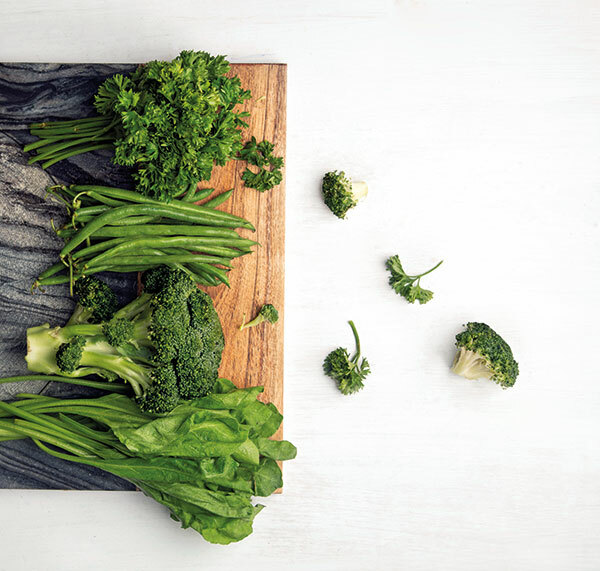 Sources: dark leafy greens – spinach, mustard greens, green beans, broccoli and parsley. Green foods have an abundance of chlorophyll, which is an antioxidant that provides cancer prevention and skin protection. Chlorophyll is the pigment that gives plants their green colour. Dark leafy greens such as spinach contain the most of this antioxidant. It boosts immunity, encourages the removal of toxins from the body and promotes healthy digestion. Spinach and kale are powerhouses of nutrients and also contain Vitamin A, Vitamin K, calcium, folate, iron and magnesium. Blue/Purple: for healthy cell ageing, memory/cognitive function and skin protection. Sources: red grapes, blackberries, blueberries, eggplant, red cabbage, beets, plums and pomegranates. Ingredients from this colour family contain the phytochemical anthocyanin that provides a purple and blue pigment. Anthocyanins are found most abundantly in berries. If you find yourself forgetting things easily, sources of anthocyanins, especially blueberries, aid in improving memory and slowing the age-related loss of cognitive function. For healthy skin, eat a handful of berries daily to help decrease wrinkles and signs of ageing due to skin exposure. White/Brown: for cholesterol reduction, immune function and anti-inflammation. Sources: onions, garlic, ginger, scallions, cauliflower, mushrooms and turnips. Some phytochemicals are also colourless, creamy, or white. Garlic contains allicin, an antioxidant that improves immune function and reduces LDL (bad) cholesterol. 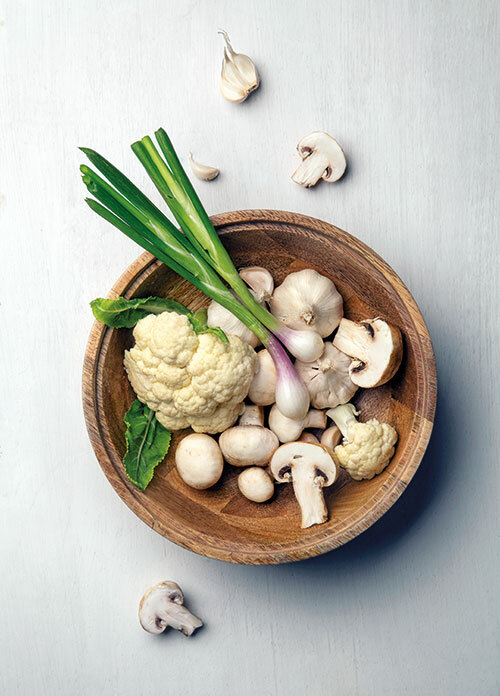 Mushrooms are high in antioxidants and selenium and can help improve skin conditions such as acne, rosacea and eczema, prevent wrinkles and protect skin against discolouration caused by the environment. Additionally, mushrooms are one of the only foods which contain Vitamin D, which can help to boost mood. Ingredients: 3/4th cup uncooked quinoa; 1 cup red cabbage, shredded; red bell pepper, diced; 1/2 yellow bell pepper, diced; 1 cup carrots, shredded; 1 cup edamame, shelled; 1/2 cup cilantro, chopped; 1 cup raw peanuts (unsalted). 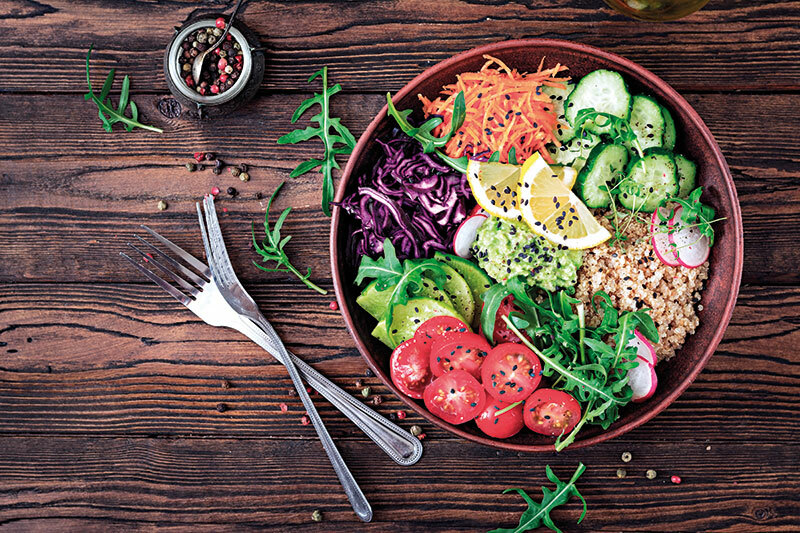 For the dressing:1/4th cup peanut butter, smooth (salted or unsalted are both fine); 2 tsp ginger, grated; 1/2 cup green onion; 3 tablespoons soy sauce; 1 tablespoon, honey; 1 tablespoon, red wine vinegar; 1 teaspoon sesame oil; 1 teaspoon olive oil; 1 teaspoon Sriracha hot sauce. Cook the quinoa — it should be about 2 cups. Allow it to cool and set aside. Combine the honey and peanut butter and heat in the microwave for about 10 to 20 seconds. Stir until smooth. To the same mixture, add the ginger, soy sauce, olive oil, sesame oil, red wine vinegar, and Sriracha. Stir until smooth. If the dressing is not creamy, add water till it reaches the desired consistency. In a large bowl, combine the bell peppers, onions, cabbage, carrots, edamame and cilantro. Drizzle the dressing over the quinoa and vegetable mix. Fold the vegetable mixture into the quinoa. Add cashews and garnish with green onions. Add more dressing, and enjoy!